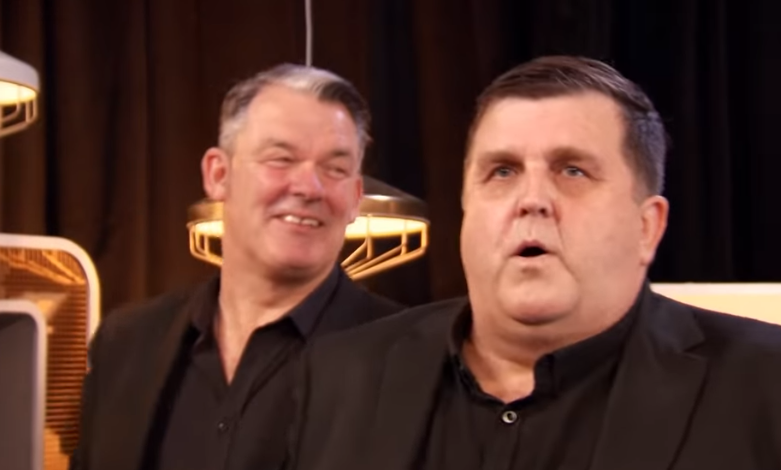 Dundee’s singing cabbies have spoken of the “overwhelming” response from fans after the pair were booted off Britain’s Got Talent at the weekend. Wayne O’Hare and Jimmy Smart performed the Elvis Presley hit If I Can Dream on Saturday night’s auditions show. But as they hit the halfway point of their routine, all four judges sounded their buzzers. Simon Cowell said that the pair were “out of tune” and said it sounded like they were “shouting at the audience”. And now Wayne, from Fintry, has spoken out about their performance, claiming that they were not happy with how it sounded. He said: “We were on the stage but we couldn’t hear anything and there was no monitor that we could hear ourselves on. There wasn’t a soundcheck either. “We thought that maybe they just saw us as a couple of taxi drivers that have never really sung. But we’ve done 100 gigs together and we have videos online. Sound technician and studio owner Graham Brown, from Dundee, was quick to jump to the duo’s defence in a Facebook post. He said: “After working with you guys extensively over the last couple of years, it is my professional opinion that the TV sound engineers have used auto tune to knock both of your vocals out of tune on the longer notes. But the response from fans has been “overwhelming” for the pair, who have been singing together for around two years. After posting an online apology to their supporters thanking them for “fighting” their corner, fans spoke out in support of the pair. “We will get over it, but it is really quite disappointing and I’m not sure I would do it again – I wouldn’t trust them,” Mr O’Hare said. After their appearance on Saturday’s show, the pair will now return to their day jobs. But it certainly won’t be the last we see of them, with plans for an album in the pipeline.